The much decorated first field marshal of Independent India Kodandera Madappa Cariappa (KM Cariappa), who led Indian forces on the Western Front during the 1947 Indo – Pakistan war, has got a strong recommendation from present Army Chief General Bipin Rawat on Saturday for Bharat Ratna. Army Chief General Bipin Rawat has recommended late KM Cariappa for Bharat Ratna by saying that it is high time to recommend late KM Cariappa who was the first Indian Commander – in – Chief of the Indian Army. 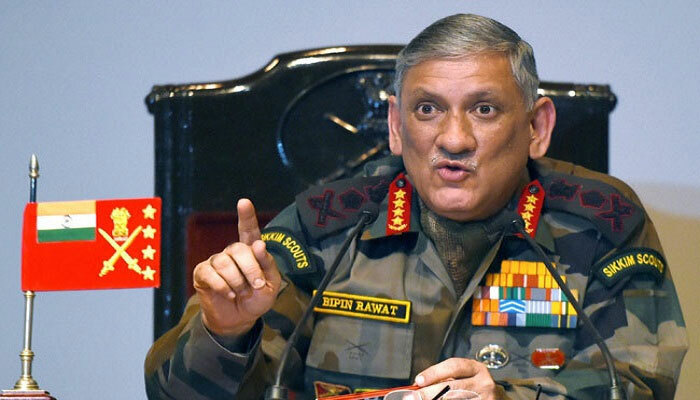 With an assertive voice Army Chief Bipin Rawat has signalled that time is now to recommend Field Marshal KM Cariappa for Bharat Ratna while unveiling the statues of Field Marshal KM Cariappa and Padma Bhushan and Distinguished Service Order (DSO) awardee General Kodendera Subayya Thimayya.